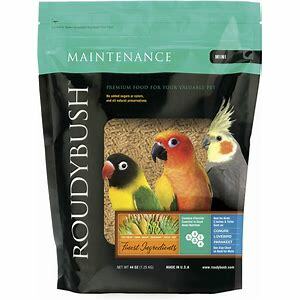 Feed Roudybush Low Fat to adult birds that are not laying eggs or feeding chicks and that have a tendency to be overweight. 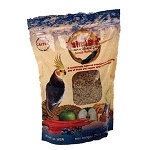 Mix 1/3 Breeder with 2/3 Low-Fat Maintenance for chronic egg-layers and birds with a tendency to develop hypocalcemia (such as African Greys). Do not give other vitamin or mineral supplements. 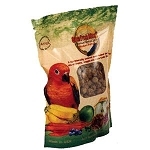 Fresh fruit and vegetable treats may be given as a minor part of the diet.